The SCV Senior Center is powered by volunteers who make a difference in the lives of seniors by promoting quality of life. Our Volunteer Team completes an astounding 47,000 hours annually equivalent to $470,000 annually at minimum wage and $705,000 annually at mid-range. They are essential to our ability to provide critical services and meet the needs of seniors in our community. 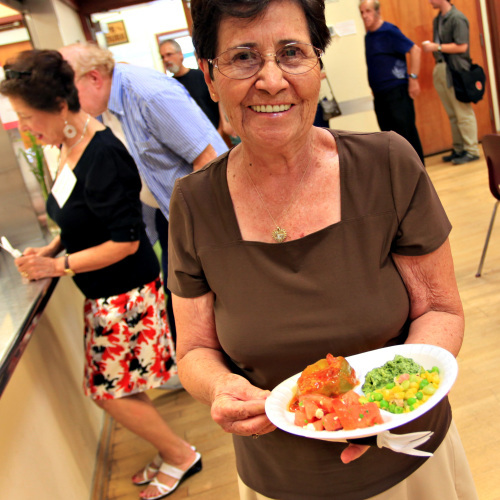 The SCV Senior Center hosts an intergenerational, ethnically diverse volunteer program composed of seniors, adults, teens, and children who offer their time and talents to support our mission. They help with preparation and distribution of approximately 121,000 meals annually. Volunteers assist the Support Services department which completes an average of 35,000 client contacts annually. Skilled volunteers are instrumental in the success of our Adult Day Care program, which provides over 2000 days of respite to individuals with dementia and their caregivers. Instructors and group leaders are comprised primarily of volunteers, allowing the ability to offer over 3000 classes, activities, and groups to over 40,000 participants annually. We are grateful to our extraordinary volunteers for the powerful impact they have on promoting quality of life for seniors.